Two beer of the night reviews in under a week... what a MIRACLE eh? Tonight's beer of the night is Maudite (or "The Damned One" for you english people). 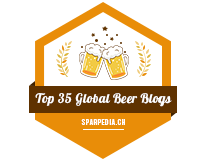 It's only a matter of the time until the fellow Spymac Unibroue fans come by, since there seems to be a large loyal group of Unibroue fans here. 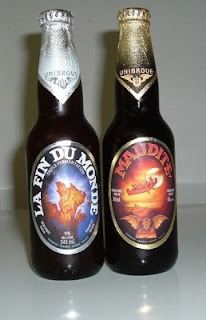 I first tried Unibroue's Maudite beer late last hear or near the beginning of this year. Just like La Fin du Monde (or "The End of the World" to you fellow english people again), I wasn't a big fan of the beer. I tried it again recently, as well as La Fin du Monde, hoping I would actually like them. La Fin was still putrid.. AND I could swear I saw bits of "stuff" floating around throughout the drink.. but it didn't taste like black licorice.. maybe because it was COLD this time? Maudite had a much smoother taste than what I remembered, it still wasn't the best of beers but it was much better than La Fin, it has a very sweet taste and a very heavy texture... meaning while most beers you can see right through, but this beer (nor La Fin) can you see through (ala Guinness but not even near as dark). The closest beer that can come to this is Bass beer from the United Kingdom, or else La Fin du Monde.. although La Fin actually wanted to *make* me puke just by thinking of the stuff that was 'floating around' in the beer.. and La Fin was pretty tough to drink down. Unibroue was acquired by Sleeman Breweries last year, after I tried Sleeman's beers last year, I wasn't too surprised since the taste of Sleeman's beer didn't differ much from Unibroue's. 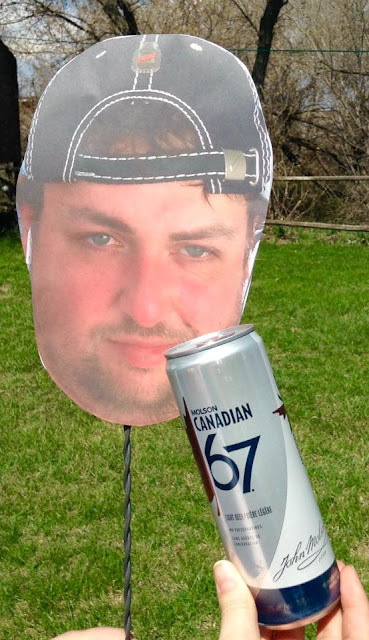 I'll buy this beer again if I'm looking for something Canadian but not Molson or Labatt. This beer is 8% alcohol/volume and retails for about $2.40/bottle, atleast in Manitoba, while in other provinces I've heard it sells only in cases.